Boredom is something you'll never experience while visiting the Myrtle Beach area. Our hundreds of amusements are guaranteed to keep you entertained and the smiles coming. 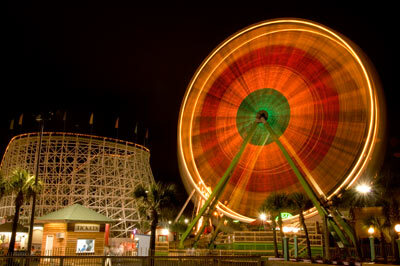 The 1.2-mile Myrtle Beach Boardwalk is the crown jewel of the downtown area, and it comes equipped with traditional boardwalk food, arcade games and the large Sky Wheel. There's also go-karts, miniature golf and other fun attractions to experience. Napping might be required!